Sonya Cassidy is a famous British actress who is taking the screens by storm. Born and bred in Bristol, Sonya joined the entertainment industry in 2009 and has so far achieved success in her numerous roles in films and TV series. Cassidy is best known for her roles in films like The Paradise and The Fifth Estate, as well as in TV series such as Endeavour, Midsomer Murders and Olympus. In this article, we shall look at the English lady’s acting career and her personal stories, including her family and relationships. Sonya Cassidy was born in the United Kingdom on April 6, 1987. The actress has not been generous with her childhood details and that is why information about her family, including her parents and siblings, cannot be found. Nevertheless, we do know that she holds a British nationality and her ethnicity is white. Cassidy’s educational background is equally unknown but it is said that she grew up in Bristol where she also studied. She reportedly developed a passion for acting from a very early age, following her inherent interest in human behavior, particularly the ones that involve people’s culture. With Bristol helping her find her root in acting, Cassidy turned her acting talent into a career path after she was accepted into the Royal Academy of Dramatic Art (RADA). This automatically moved her from Bristol to London and after graduating in 2008, she officially launched into the depth of acting, taking on roles onstage and onscreen. Today, the beautiful actress of about 5 feet 7 inches is for sure generating some colossal earnings for her works. Sonya Cassidy’s movie roles are not so much but they are no ordinary movies either. Her latest movie role is in the 2016 film, Breaking the Bank, where she acted as Annabel, while her very first movie role was in a 2009 short film tilted Undead Union: The Making Of, where she appeared as Donna Stevens. Other interesting movies the actress has taken part in include Precipice, The Fifth Estate, and of course, the 2015 British -American spy thriller film, Survivor, where she notably appeared as Helen. Cassidy has seen more roles in TV series than in the movies, the beautiful English actress made her first appearance in TV shows in 2009 and in the British medical soap opera, Doctors where she acted as Ellen Harkness in a single episode of the series. Other TV shows she took up in the same year include Lewis, as Alison; and The Tudors, as Christine, Duchess of Milan. Following these, Cassidy’s TV roles began to increase. In 2010, however, she received only one TV role and it was Midsomer Murders, where she appeared as Beatrice Daniels. Between 2012 and 2014, Cassidy was busy with four different interesting TV shows- The Paradise, where she took the main role as Clara; Vera, where she appeared in eight episodes as Celine Ashworth; Endeavour, where she appeared as Joyce Morse; and in the mini TV series The Great Fire, where she appeared as Catherine of Braganza. 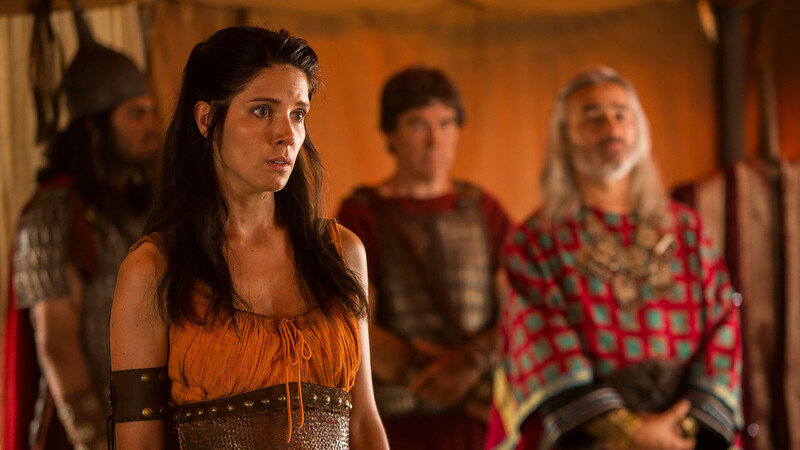 Moreso, Sonya Cassidy received her second main role in 2015 when she appeared as Oracle in the Canadian-British fantasy series, Olympus. Other TV series where she had a main role include the 2018 series, The Woman in White and the comedy-drama, Lodge 49 where she is known as Liz Dudley. She appeared as Leda Starling in the British series, Ripper Street, and as Hester in eight episodes of the Science fiction, Humans. Sonya Cassidy has not revealed any information about her family but she often speaks about how supportive they’ve been of her efforts, especially as regards her career. In an interview, she spoke of how her parents sent her to a local youth Theatre in Bristol where she learned more about acting before she went professional. Although the Bristolian has played the role of a wife in several movies and TV series, she is yet to settle down with any man as a husband. She has not also been previously linked to anyone as her boyfriend. Probably, she is investing her energy and time in building a longlasting career. She may also be involved with a man secretly to avoid publicity stunt. Either way, she has not revealed anything.